Customer journeys, particularly for high involvement purchases, may take years to lead to a purchase decision. For example, a young consumer buying their first brand new car would have years of experience of seeing cars, seeing promotional campaigns and product placement, being involved in discussions regarding motor vehicles, using the family car, and so on. This means that by the time they arrive at their decision to buy their first new car, the consumer already has a lot of knowledge and has formed attitudes regarding different car brands. Some brands of car they would consider to be quite suitable for their needs, whereas they would rule out other brands from their potential purchase without any due consideration. Therefore, when understanding the customer journey, it is important to consider not only be active purchase phase, but also the accumulated knowledge and attitude formation that happens prior to the consumers need recognition and decision to purchase the products. By limiting the view of the customer journey to the consumer’s active decision phase only, it is often too late to ensure that the brand will sit in the consumer’s evoked (consideration) brand set. 3. The consumer progresses through consumption and/or use of the product or service. In this early phase, the consumer is not yet a customer of the brand and, indeed, may not be a customer of any brand – in other words, they could potentially be a non-consumer of that product category. 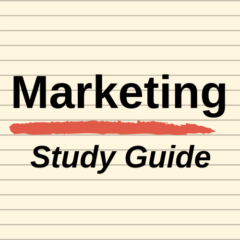 Regardless of their current lack of interest in the product category they will still gain a knowledge and understanding of many brands in the market. For example, a young consumer who has never bought a car is still likely to have some form of attitude towards different car brands, such as Toyota, BMW and Mercedes and so on. The general communications goal of this stage would be to ensure that these “inactive” consumers are aware of the brand, have some understanding of the brand, have a positive attitude towards the brand, and would consider the brand to be a suitable brand to purchase in the future (that is, place it in the consumer’s consideration set). 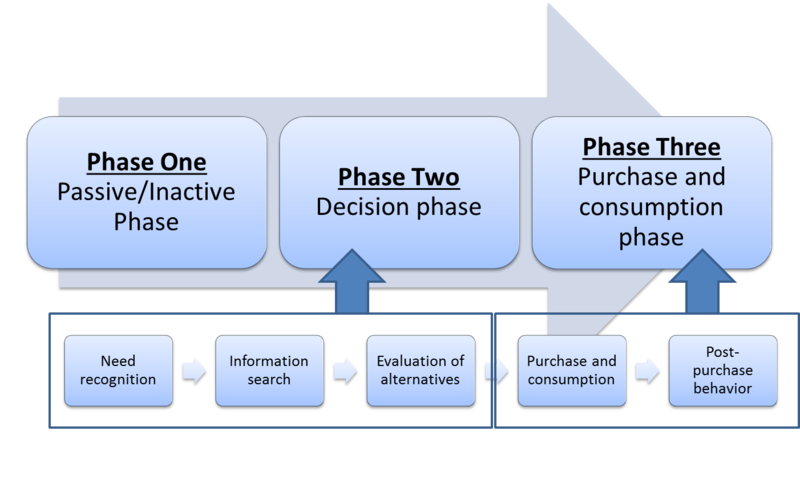 A more specific communication goal in the first phase would be to trigger the motivation for purchase is would move the consumer from the passive/inactive phase and move the consumer into the decision buying process, which is phase two of the customer journey. At some point, and for a variety of reasons and possible marketing stimulus, the active/passive consumer is motivated to purchase. Essentially, they had been “activated” as customer and will enter the standard consumer decision process model. As you can see, this phase maps mainly their information, choice and decision a phase of their customer journey. While they would already have a brand consideration set loosely formed in their mind (from the aggregate brand touchpoints in phase one), some consumers will willingly add/detract from this brand set as result of the research that they make during this phase. However, consumers are more likely to purchase a brand that is already in their consideration (evoked) brand set. In this phase, the consumer actually becomes a customer of the firm/brand. This could be for the first time or they could be making a repeat purchase decision. It is through the purchase and consumption step in particular that the customer is heavily interacting with the brand/firm and its staff and facilities (if a service firm). It is typically this phase that is primarily explored in a customer experience map and/or a service blueprint. Next Next post: What is customer journey mapping?